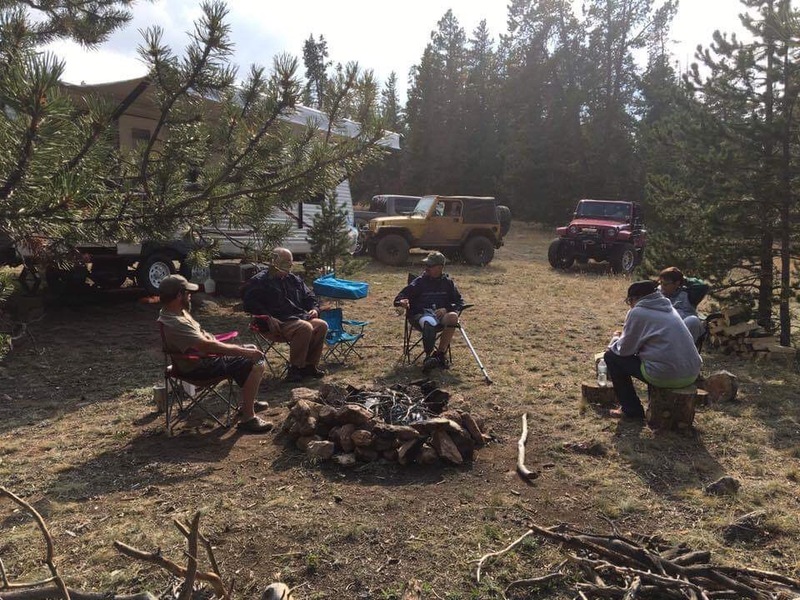 The Bighorn Mountain Crawlers are hosting the first ever BMC Summer Safari this June to help show off our wonderful Bighorn Mountains. Starting with a scenic trip up the face of the Bighorns, we’ll meet at Arrowhead Lodge for Registration. After that, we’ll go camp and explore our playground in North-Central Wyoming. Prepare to be amazed by beautiful scenery, challenged by some of the terrain, and entertained by your hosts and trail-guides as we spend a weekend in the Bighorns. We’ll end the event with a show & shine down in our hometown of Sheridan. The event will be judged by both event staff and the public, and lots of fabulous prizes will be awarded. Proceeds from the event will go towards the Crawlers efforts to preserve, protect, and enhance public access in the Bighorn Mountains. A percentage will also go to the USFS and local charities. For the early birds who just can’t wait to get it on – This group will tour the best Red Grade has to offer. Enjoy a scenic tour through the timber and over Rock Chuck Pass to Babione Creek, where the fun really starts. A series of tight windy trails tour rugged terrain just technical enough to be interesting, but not overwhelming. Your Trail Leader may offer a short hike near then end if time allows along with an opportunity to visit the historic Tie Flume. If the bonfire isn’t your thing, take a trip to the floor of Tongue River Canyon and back just in time for a Bighorn Sunset. A scenic loop with spectacular views of Twin Buttes and the North Tongue meadow below might be the perfect place to spend the first night of summer. Your Trail Leader will stop along the way in search of wildlife and other photo opportunities. A short trip back to camp ensures a reasonable bed time. If you came for the scenery a trip across Hunt Mountain is just for you. 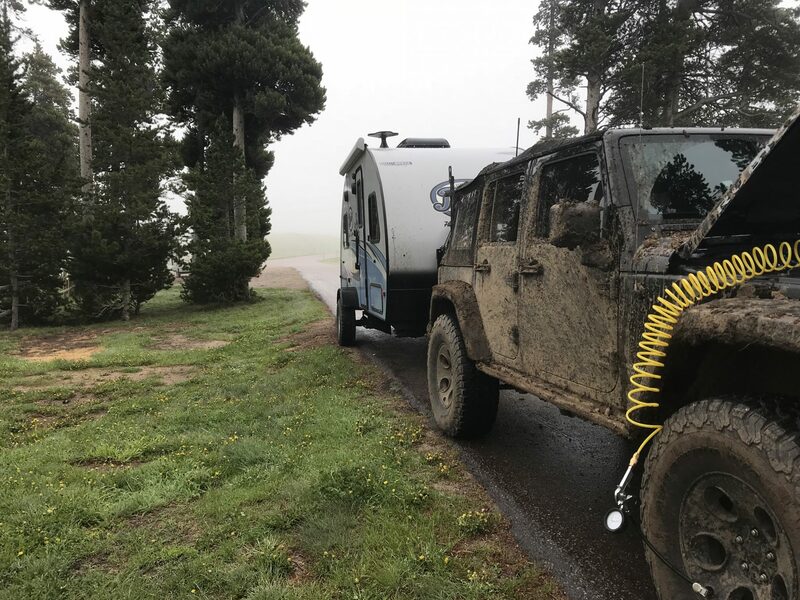 The group will start with a quick stop at Tie Flume and continue on to the divide connecting with Hunt Mountain Road. This route will enter and leave the timber several times as it meanders through high country meadows offering views of distant peaks and the valley floor below. The route will join and leave the highway a few times as we make our way to Medicine Wheel National Historic Landmark. A stop for lunch will present an optional tour through the sacred grounds of Medicine Mountain before returning to camp by way of Dayton Gulch. Take the long way to High Country Lodge and back for a relaxing and scenic day on the trail. This group will start with a quick stop at a vantage point near Twin Buttes before dipping into a valley to cross Fool Creek. We continue on to gain about 2,000 feet in elevation where gaps in the timber reveal Cloud Peak to the South and Dry Fork Ridge to the North. A lunch break at High Country Lodge will offer a chance to order a burger or enjoy your own sack lunch. From there, we follow the Little Bighorn River and descend into Wagon Box to meet the confluence beneath Boyd Ridge. Backtracking to camp, your Trail Leader may add a stop at Burgess Overlook if time allows. 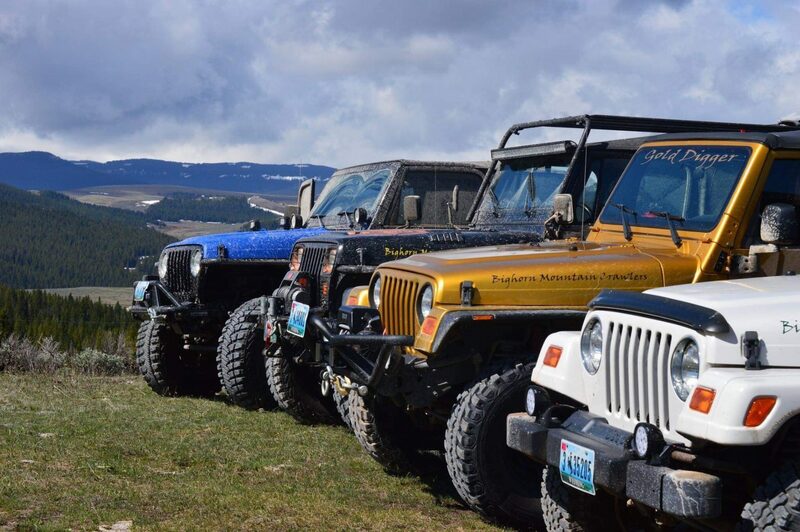 If variety is your thing, this is your trail. This route quickly climbs over 1,000 feet out of the river valley to a spectacular overlook viewing the towns of Dayton and Parkman below. From here, your Trail Leader will introduce you to the sticky gumbo of Sawmill Flats and steep climbs to Skull Ridge where a panoramic view of Cloud Peak Wilderness awaits. A stop at Burgess Overlook is a great place to spot Elk, Moose and other wildlife native to the Bighorn. Snowpack can be expected well into June so come ready for anything. Well known as the toughest trail on the Bighorn, Boulder Basin is a challenging loop that tours the high mountain lakes at the base of the Cloud Peak Wilderness area. Before the challenge starts a stop at Dead Swede will provide an opportunity for exploration and tire pressure adjustments. From there, we climb to 9,600 feet over Woodchuck Pass and down again into Shell Creek. With Elevations exceeding 10,000 feet, the chance for snow pack is high, even into June. Although most of the trail may be considered moderate a half mile section known as The Chutes will challenge most of the vehicles in the group. An optional Ledge obstacle farther down the trail is generally bypassed but may be tried by anyone with the itch for more. Lunch at the wilderness boundary will provide the group with an optional hike to an old Cow Camp no longer in use. 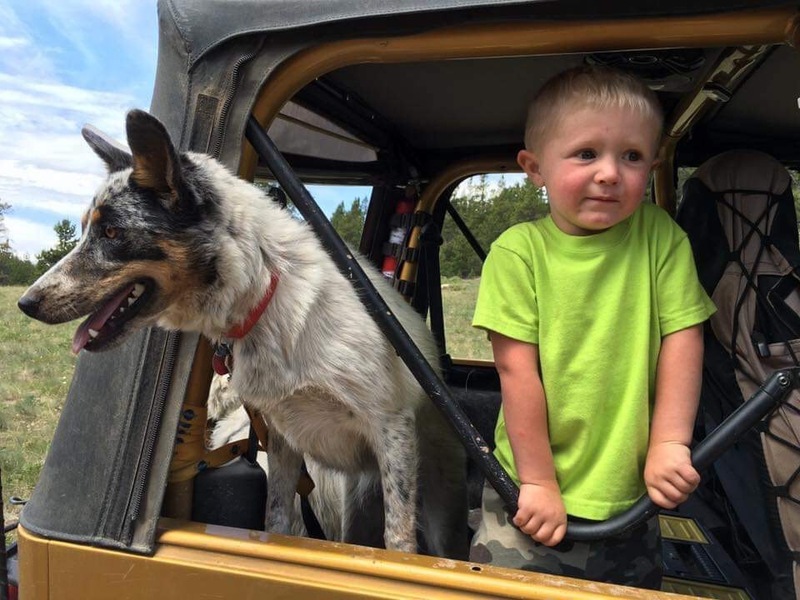 -The majority of the trails that we will be on can be traveled by smaller stock 4×4’s and UTV’s. 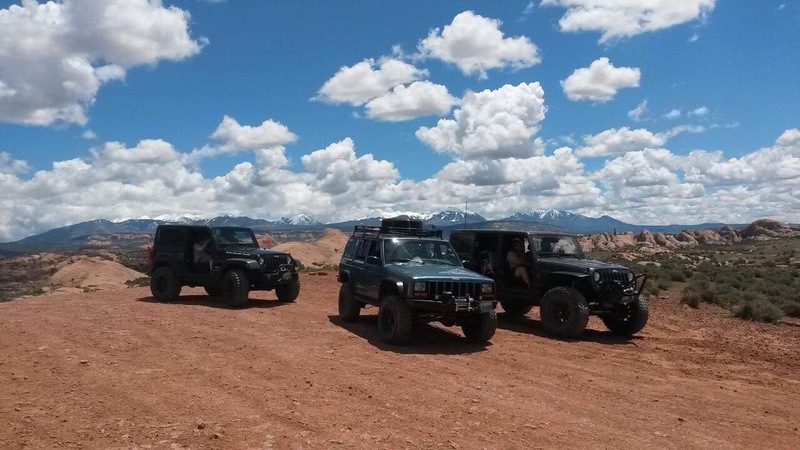 There are a few trails that can be challenging to the beginner, and spotters are encouraged. This is not what most would call an extreme 4×4 event. See trail ratings below. -Larger 4×4’s risk body damage from trees and shrubs. -Any short wheel base 4×4 vehicle or full size UTV is welcome as long as they are registered and insured as per event rules. Vehicle inspections will be performed and any safety defects will be required to be repaired before event participation. In the event that a vehicle is deemed unsafe to participate, the entire registration fee will be refunded. Suitable for factory four-wheel drive vehicles. Low range may be helpful but not necessary when dry. Minimal erosion may require careful tire placement in some areas. Suitable for factory high clearance four-wheel drive vehicles. Low range is required and aggressive tires are preferred. Mild erosion, loose rocks and shallow water crossings may exist. Suitable for modified four-wheel drive vehicles. 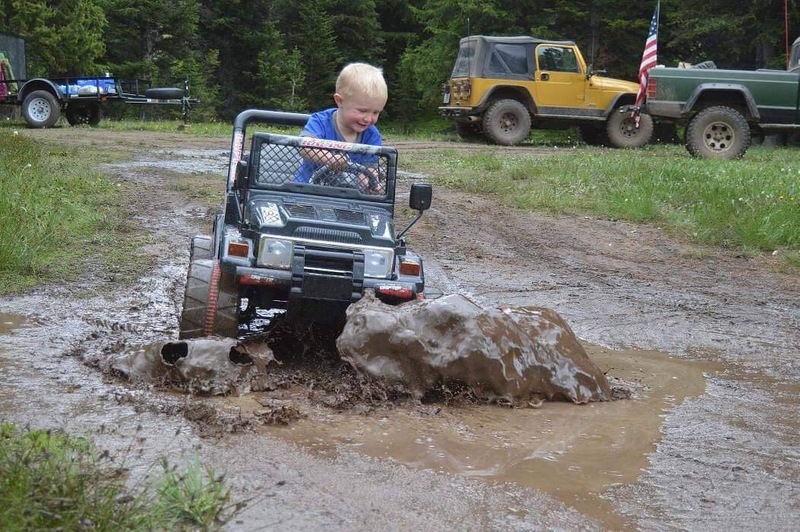 At least one locking differential and aggressive tires may be necessary. Larger rocks and deep water crossings may be impassable during runoff. Highly modified four-wheel drive vehicles only. Locking differentials, tall tires and body/skid protection is mandatory. Significant erosion, large rocks and deep water crossings are likely. 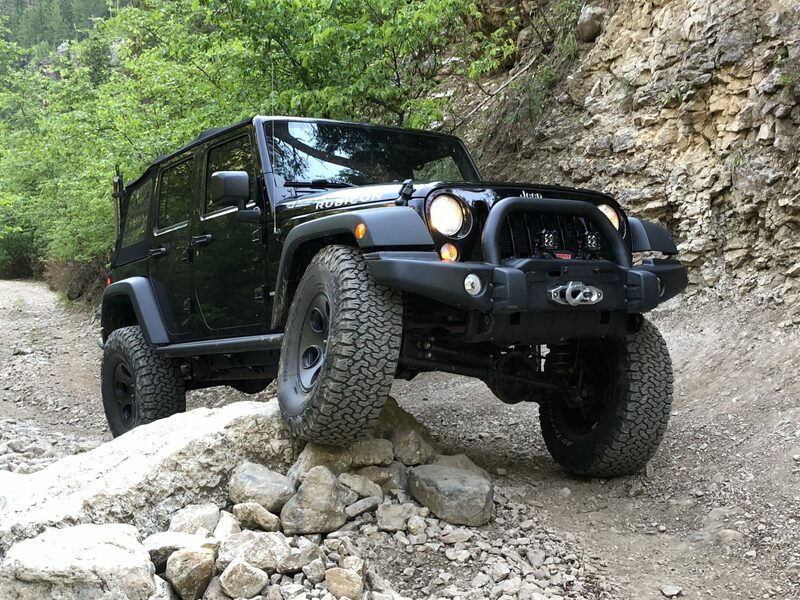 *Under the current travel management plan set forth by the Bighorn National Forest, trails designated Most Difficult are inaccessible to the public and are not offered by the BMC Summer Safari. For more information and to register, visit the BMC website.